This product is no longer available and has been replaced by: CR9051E. Some accessories, replacement parts, or services may still be available. 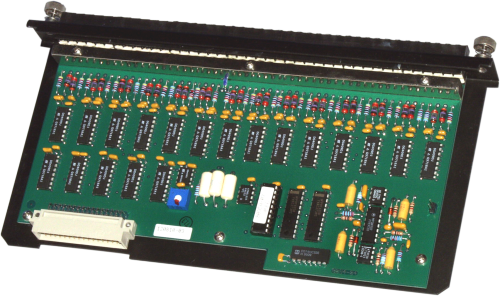 The CR9050 is one of the modules used with our CR9000 and CR9000X dataloggers. It includes 14 differential (28 single-ended) inputs. It also has an onboard platinum resistive thermometer (PRT) and a heavy copper grounding bar for precise thermocouple measurements. The CR9050 is an I/O module for the CR9000X-series and CR9000-series dataloggers. It includes 14 differential (28 single-ended) analog input channels that measure voltages up to ±5 V and an internal PRT that provide a reference temperature for thermocouple measurements. The CR9050's heavy copper grounding bar and connectors, as well as its case design reduce temperature gradients, which promotes accurate thermocouple measurements. Resolution on the most sensitive range is 1.6 microvolts. All input wires attach to the CR9050 via screw terminals. -NOTE- Note: Additional specifications are listed in the CR9000X(C) Specifications Sheet.